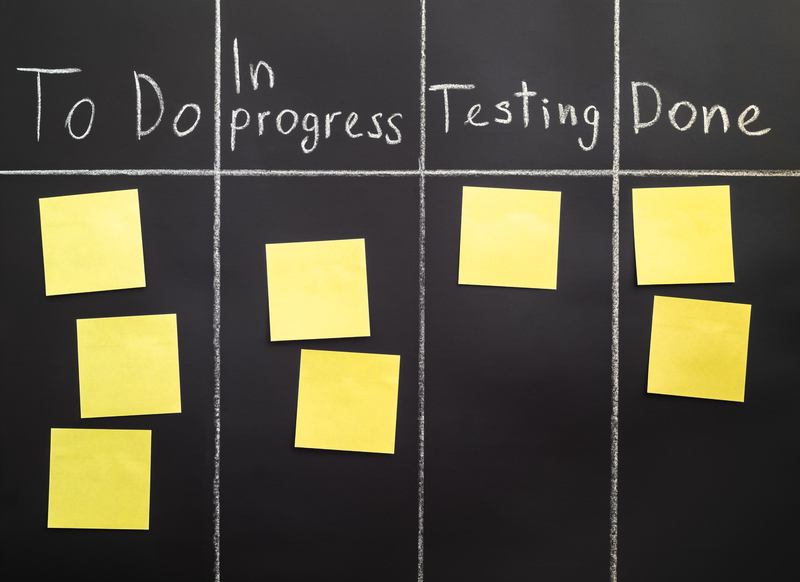 While Agile Methodology was designed for software development, that’s not the only industry that can benefit from this approach to project management. There are plenty of other jobs out there for PMI-ACP© holders that expand beyond software. The methodology built on principles of flexibility can easily be applied to a number of other industries. Agile can open doors in a number of industries, and if you pass your Project Management Institute - Agile Certified Practitioner exam, you have a lot to offer companies that may just now be moving into the Agile space. Here are industries utilizing agile methodologies that need more project managers with their PMI-ACP©. For marketing agencies, rapid implementation is key if you want to stay relevant. But, many marketing departments and agencies are plagued by slow deployment. Sometimes, creating a single email can be a multi-week process, between content creation, design, recipient list creation, client approval, and prioritization between projects that are already in progress. By the time the email is eventually finished, the subject of the email could already be out of date! Agile Methodologies can streamline these processes and make continuous implementation and improvement a reality. Working in Sprints is one feature of Agile that can be particularly beneficial for marketing agencies. Now, they can complete an entire project in a two week period, compared to drawing it out over multiple weeks or months. With the Scrum Master, or team organizer, prioritizing tasks in the Sprint and tasks in the backlog, you can ensure the team is working on the projects with the greatest urgency first. Additionally, marketing agencies rely on strong relationships with clients to generate recurring revenue. Often, clients may feel distanced from a project when all they see is the final result. In contrast, Agile teams have open lines of communication with clients, allowing them to provide continuous feedback, ensuring the final product is closely aligned with what they envisioned. With Agile, clients see better results at a faster rate. Using your PMI-ACP, you can lead the Agile revolution in any marketing agency, applying principles you gained during your training and professional experience to generate better results at a faster pace. Manufacturing, like software development, is an industry that rapidly and drastically changes each day. Thanks to new technologies like artificial intelligence, 3D printing, and developments in robotics, manufacturing looks totally different today than it did even a decade ago. With such rapid developments, companies need a project management process that can keep up with this rapid pace of change, and the speed that consumers expect products to move from development to market. Agile Methodology easily aligns with the speed with which the manufacturing industry is moving. Typically, teams will be provided with the conceptual outline for needs to be manufactured, and then they make that concept a reality. With Agile Methodologies, development is done incrementally, allowing team to reduce the time it takes to put new products in the hands of consumers. This mean companies using Agile to manufacture goods faster have a competitive edge over companies using traditional methods. As the manufacturing industry continues to advance from a technological standpoint, many companies will be looking for an experienced PMI-ACP holder to lead the change into a new era. You can easily apply your skills to improve development processes and increase delivery speed using Agile Methodology. In the world of construction, it’s impossible to predict delays, making it impossible to stick to a schedule. The slightest bit of rain or a failed delivery of materials could throw a project off for weeks. This means traditional planning processes won’t work. Agile Methodology, however, allows for shorter planning cycles, preventing an entire long-term plan for derailing. And since construction projects are typically completed in incremental stages anyway, the Agile structure can be easily applied to project structure and timing. In addition to unpredictable delays, another huge challenge that construction project managers face is uncontrollable labor costs associated with these delays. Imagine a scenario where an entire construction crew shows up, only for it to start raining. The laborers are still paid for a portion of the day, even if the project couldn’t be completed. With Agile, you can ensure that labors are at the right location with the right equipment at the right time, since you’re only short-term planning. Construction teams don’t have to be crippled by delays and unexpected changes anymore – especially when they have a PMI-ACP holder managing their projects. To understand how Agile can be applied to retail, we need to look at some of the challenges that the modern retail industry is facing. In the past, people relied on physical stores alone for their shopping needs. Trends changed at a slower pace and order fulfillment happened through the slow process of ordering from a catalog. Today, the retail industry has experienced a digital revolution and continues to move further and further away from the shopping experiences of the past. Consumers expect faster fulfillment, more options, and rapid changes to reflect demand. It’s understandable why some retailers struggle to keep up. However, with Agile retailers don’t have to be tied to processes of the past. When it comes to expanding product lines or fulfilling large orders, the Agile Methodology can have a major impact on retail. Because the retail world is becoming more reliant on digital shopping methods and access to merchandise is easier than ever, the retail industry needs a way to keep up with the increasing demands. Agile Methodology can be applied to retail processes with positive effects, similar to its application to other industries. As trends frequently and rapidly change, teams can keep up with these adjustments by working with Agile. This means faster reaction time thanks to Sprints and a chance to gauge buyer feedback with every adjustment to product lines. PMI-ACP holders have a lot to offer the retail industry, especially when it comes to facilitating digital-friendly processes. As consumers continue to expect more and more from their retail experience, project managers who are knowledgeable about Agile practices can make a big impact in this space. As leaders in each of the industries become more and more familiar with Agile Methodologies, there will be an increasing demand for professionals who hold their PMI-ACP. And, as a project manager, you want to be at the forefront of that trends. Agile Methodology isn’t owned by the software development industry anymore. And if you have earned your PMI-ACP, you can leverage this demand for Agile experts to score your dream position with higher pay. Don’t limit your skills to working in the software development industry. Use your PMI-ACP with an open mind about where it can be applied.